We know how nice it is to swing by and pick up your order instead of paying those pesky shipping prices. Once we receive your order we will send you an email with our address and pick up times. It's as simple as that! We can also bring your items to any event we are attending from a Rabbit Show to the Harstine Island Farmers Market. All online orders are processed securely with SSL security. 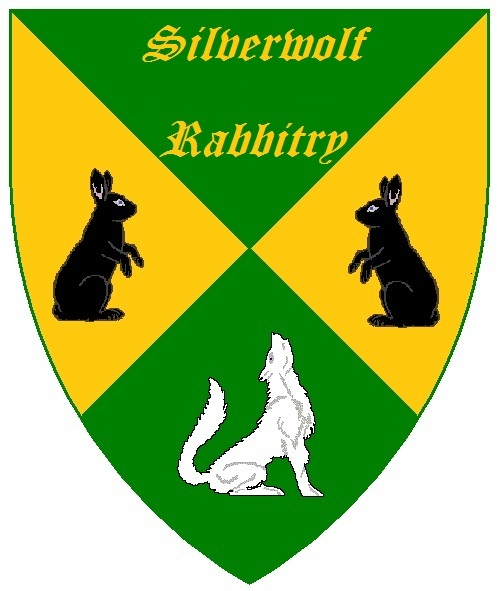 Silverwolf Rabbitry, Farm & Crafts is a verified business on Paypal. Silverwolf Rabbitry, Farm & Crafts only collects sales tax from customers residing in Washington. You will be notified of any out of stock or discontinued items either via e-mail, or on your packing slip or invoice. You may reorder out of stock items at a later date. We will not send unsolicited email. If you do get an unsolicited email from us, please contact us immediately and we will look into it. At Silverwolf Rabbitry, Farm & Crafts we are dedicated to bringing you exceptional quality products and service. Our return goods policy is outlined below. Within 5 days of receiving your order, Silverwolf Rabbitry, Farm & Crafts will accept the return of any product on the basis of quality issues or shipping mistakes. All freight and handling charges on returned goods are the responsibility of the customer. All Clearance sales are final. To make sure your returns are processed quickly and accurately, please contact us at (360) 551-1738 or email [email protected] for instructions before shipping returns. Silverwolf Rabbitry, Farm & Crafts at this time does not offer international shipping. Silverwolf Rabbitry, Farm & Crafts knows how it feels to wait on a package. We always do our best to get packages out quickly. Please keep in mind that we are a small family business and sometimes illness, or other priorities may prevent us from shipping super-fast. We ship USPS Priority Mail, so your package is guaranteed to arrive within 2-3 days. A tracking number is provided and will be emailed upon shipment. We recommend that if you are shipping to an apartment or any other area where the package may sit unattended, that you request signature confirmation or insurance. Shipping costs will increase with these services. In the event that your package arrives damaged, DO NOT OPEN IT! Do not accept the package and return it with the carrier. This way we can deal with the carrier on your behalf and replace any damaged merchandise. If you open the damaged package, unfortunately there is not much we can do to help! Silverwolf Rabbitry, Farm & Crafts prefers to use USPS Priority Mail if it fits it ships boxes, which offers a 2-3 business day delivery service.